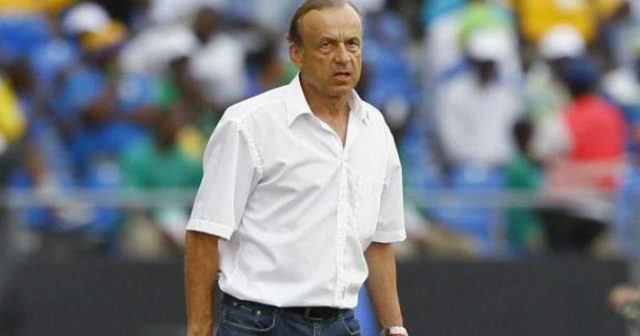 Ahead of Friday’s 2019 Africa Cup of Nations qualifier against Seychelles, head coach of the Super Eagles, Gernot Rohr, has explained why it is difficult for him to call up players from the Nigeria Professional Football League (NPFL). Rohr, speaking with SportingLife, said the domestic league is not professionally run, while most of the clubs lack the necessary infrastructures. He also admitted the players lack exposure to quality training and match conditions. “I can tell you that it is not easy for the local players when you see the conditions they have to play. Playing on old astro-turf, not able to play for up to six months because the league is on break, how will they be fit and be able to compete with the players from Europe, who have the best competitions for training, playing, organization, health and so on. “So it is not easy for the local players, but we have four in the team now because I invited two from the Under-20, the captain and the best defender. But each time we invite somebody, few weeks later he is in Europe. So he is no more a local player. “Since I’m here two years and a half, I have invited more than 22 local players and most of them are now abroad. So every time we start again to invite them, everybody wants to come because it is the way to go to Europe to make money which is normal and they want to be professional. “There are no better infrastructures here. 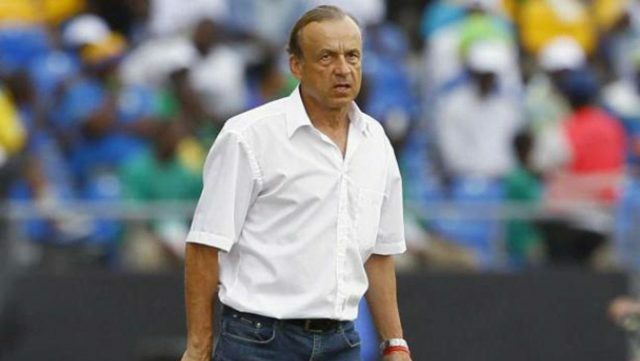 Me and my assistant, Coach Imama Amapakabo have seen that so many clubs lack so many things: no infrastructure, the training condition, organization, transport of teams in long distances, the organization of the league, not playing for six months, its very difficult for the local players,” Rohr said.